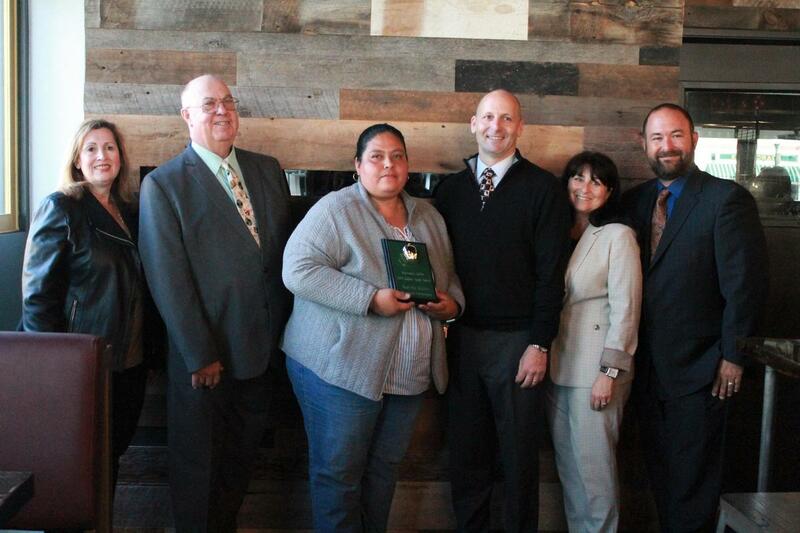 Norma Galan, a dedicated volunteer of 13 years at Plymouth Elementary, was recognized during Monrovia Unified School District’s Golden Apple Awards on March 25. Principal Greg Gero shared that at Plymouth, a sense of family is vital and that Galan works hard to ensure that every person at Plymouth feels a part of a family. During the school day, Galan can be found in classrooms, in the office or at the library. 3-25-19_MUSD_Awards 11: Plymouth Elementary’s Norma Galan was honored during Monrovia Unified School District’s Golden Apple Awards on March 25.